Find the perfect dining set for your room. Selection of dining tables and dining chairs.Surely we have the perfect dining set for you. Add a rustic style to your home or bar. 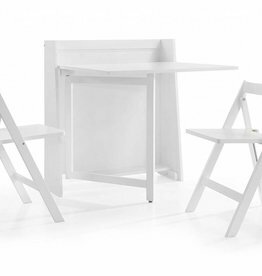 Includes: dining table, 4 dining chairs & bench. H:77 x W:80 x D:90 cm. Available with 4 or 6 chairs, in yellow or grey. Extending table & 4 chairs. Criss cross dining table & 4 mink grey dining chairs. Dining table & 4 chairs in pine & white finish. 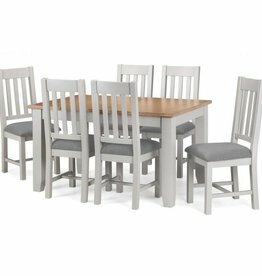 Table & 4 chairs in grey fabric. Table extends from 140cm to 180cm. Comes with 2 folding dining chairs. Folds into hallway unit. 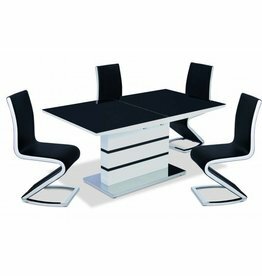 Taku dining table & 4 dining chairs. White lacquer, Solid Malaysian hardwood with MDF. Table & 2 benches in distressed waxed pine. Dining table & two dining chairs in distressed waxed pine. 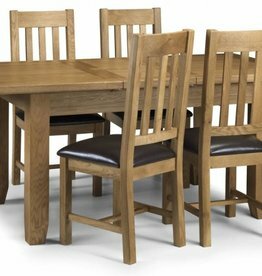 Croft extending dining set in walnut. Extending dining table & six dining chairs. Atlas drop leaf dining set. Drop leaf dining table & 2 dining chairs.